This week’s ground breaking Rosetta probe-landing on a shooting comet is an impressive feat of engineering and human achievement. I’ve always been reminded that as much as we explore outer space, our very planet has still much left undiscovered. Looking closer to home, there is a new space project happening. The knack of making the most of your home, especially in London, requires both the architectural knowledge and the courage to use it. Tribe, a Sydney based architectural firm, has endeavored to do just that. 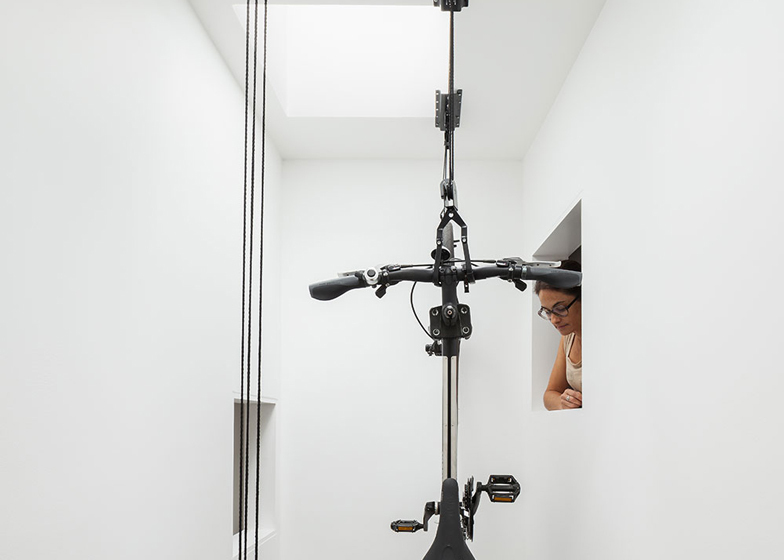 With the permission of a young family, they have managed to incorporate cycling into their living spaces. I guess I’m as much impressed by the ingenuity, as I am with the fact that they’ve made the space to use it. Such is it’s scarcity in London. Mindful, that even in Sydney it’s not always a summer’s day when you’re out on your ride, the family have also opted for a garden. Okay, a garden is there for many reasons, besides bike storage, but when the heavens open, it’s always good to have the option to wash your bike and not ruin a perfectly good living space.